Born in Providence, Rhode Island, Siner graduated from Boston University (BFA) in 1973 and American University (MFA) in 1976. 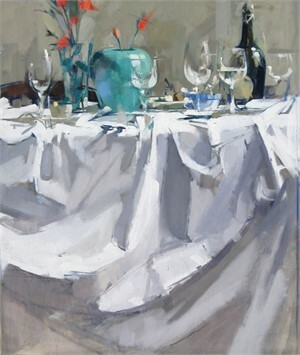 She has lived, painted and taught for extended periods in France and China. For over 30 years her work has been exhibited in galleries and museums and is in hundreds of private collections around the world. ​Siner’s work is classically derived yet contemporary. She works exclusively from life using direct visual perception as a means of translating the human experience into material form, thereby advancing a sense of vision untainted by photographic shortcuts. Her free handling of paint is unequivocal, each stroke landing with perfect gestural harmony, building a strong expressive total structure. 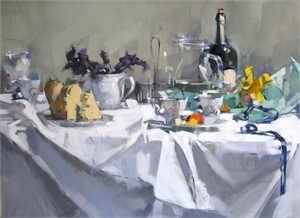 She is noted for whimsical still-life arrangements, evocative figures, powerful color and sparkling play of light emphasizing the momentary nature of vision and the passage of time. 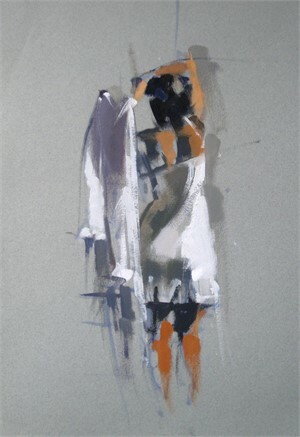 ​Siner is a devoted teacher and has influenced a generation of painters. She is well known for her expertise in artistic anatomy, human movement, explanations of color and light, materials and techniques, and her ability to verbalize the complex visual issues existing where formal means meet expressive needs. She has been on the faculty of l’Institute d’Universités Américaines and the Lacoste School of Art in France (Cleveland Institute of Art), a visiting professor at Xiamen University in China, artist in residence at the Savannah College of Art and Design, Dean of Faculty at the Washington Studio School and teaches master classes around the country. 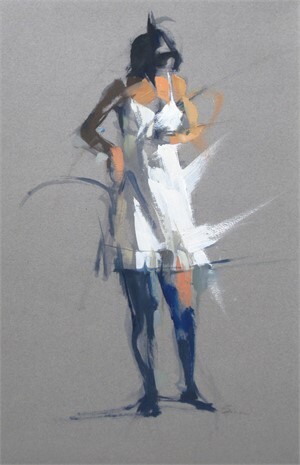 She is a frequent guest artist and public speaker much appreciated for her revealing lectures on painting and is represented by several galleries in the U.S.
Born in Providence, Rhode Island, Siner graduated from Boston University (BFA) in 1973 and American University (MFA) in 1976. 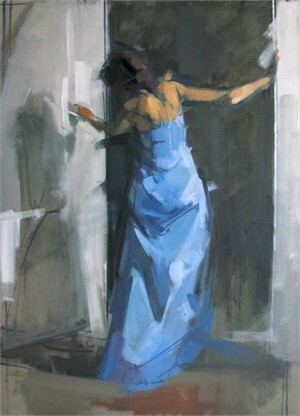 She has lived, painted and taught for extended periods in France and China. For over 30 years her work has been exhibited in galleries and museums and is in hundreds of private collections around the world. ​Siner’s work is classically derived yet contemporary. She works exclusively from life using direct visual perception as a means of translating the human experience into material form, thereby advancing a sense of vision untainted by photographic shortcuts. Her free handling of paint is unequivocal, each stroke landing with perfect gestural harmony, building a strong expressive total structure. 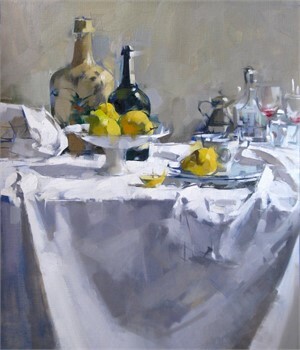 She is noted for whimsical still-life arrangements, evocative figures, powerful color and sparkling play of light emphasizing the momentary nature of vision and the passage of time. 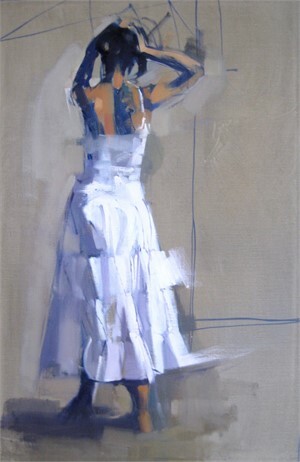 ​Siner is a devoted teacher and has influenced a generation of painters. She is well known for her expertise in artistic anatomy, human movement, explanations of color and light, materials and techniques, and her ability to verbalize the complex visual issues existing where formal means meet expressive needs. She has been on the faculty of l’Institute d’Universités Américaines and the Lacoste School of Art in France (Cleveland Institute of Art), a visiting professor at Xiamen University in China, artist in residence at the Savannah College of Art and Design, Dean of Faculty at the Washington Studio School and teaches master classes around the country. She is a frequent guest artist and public speaker much appreciated for her revealing lectures on painting and is represented by several galleries in the U.S.